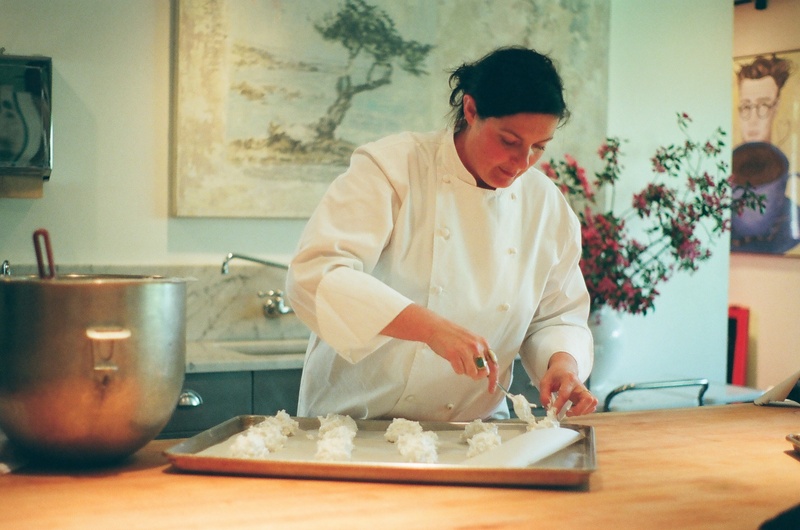 Tamalpais (Pai), chef and creator of Bunches & Bunches, was invited to contribute a recipe to Food and Wine for their November feature, Thanksgiving from America’s best artisans. 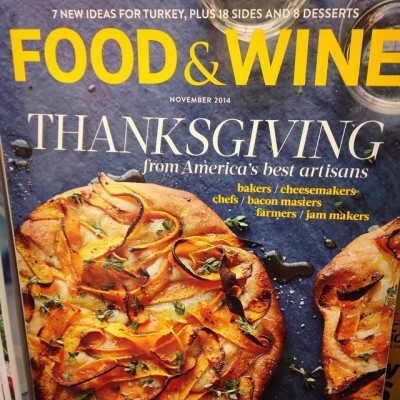 Bunches & Bunches made it’s first appearance in Food & Wine, Thanksgiving from America’s best artisans (November, 2014). 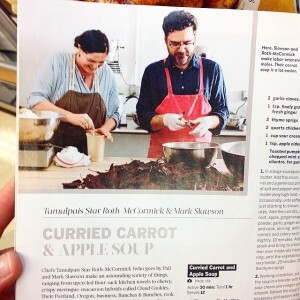 Pai (Tamalpais Star Roth-McCormick), chef and creator of Bunches & Bunches, was invited by Food & Wine to submit a holiday recipe using a Bunches & Bunches product. 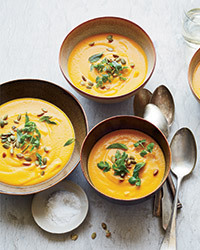 As Pai has a deep love for making soups, she came up with a recipe for Curried Carrot & Apple Soup that calls for her Snaps – a ginger snap for those who enjoy the spice of life! Pai says that it was a fun experience to create this recipe for Food & Wine readers and to be featured alongside her sweetheart Mark Slawson, also a chef and creator of Bunches & Bunches products (in particular his line of Provisions, which currently include moles and sauces). Pai and Mark were pictured side by side “in print” for the first time for the company that they started and pour their love into daily. You can find Pai’s recipe at Food & Wine and on Bunches & Bunches website Recipes Page. Remember to add love, the most precious ingredient! Try the cloud cookies from Bunches & Bunches, in Portland, Oregon. A cross between a meringue and a macaroon, these airy, gluten-free confections are a sweet and, more important, tiny end to the meal. Plus, they come individually wrapped and piled into an impressively designed container. Pure pleasure! The Cloud Cookies were my first product and I still love making them and sharing them with others. I love when I find people who are just as passionate about their careers as I am about mine. After talking to Pai, the creator of Bunches & Bunches, I could really tell how much she loves her trade. Her main ingredient? Love. Who couldn’t use more of that?